this porcelain glass sculpted hand? a broken body / a shattered soul/a splintered mind? so often pulled right outta of me? not how you really feel. let’s add some eyeliner, lipstick and a bit of blush. suggests a magical facade, and a white picket fence. Girls should never get angry, defensive or dirty. Girls should always play nice. and I refuse to act lady like. are called ugly or fat. I get annoyed, I get outraged, and I fight back. I should always put others first. I should always play nice. and put a smile of my face. the ideal perfect version of me? sometimes I just do not care at all. will turn to rust, then what comes next? Nobody likes hanging out with a hurricane. about all this crap & such. i am way beyond crazy. I feel like I am always under attack. Her constant screaming, cursing and yelling. I have a Serious Mental Illness. with the hell makes You think?! I feel like trying to cut my wrists. Just to alleviate-all this pain. i feel like i am clearly insane. When do I get what you have? with her the same way you do. For asking you to handle certain things. to just shut up & deal with it. She is Your Mother-not Mine. with all this dirt upon my hands. of her all the time!! there is resentment in my garden. You could help the situation. But you pretend its a non-issue. For You perhaps it is. But for us, we deal with her daily. It’s unfair to everybody involved. caretakers-takes a toll on me. 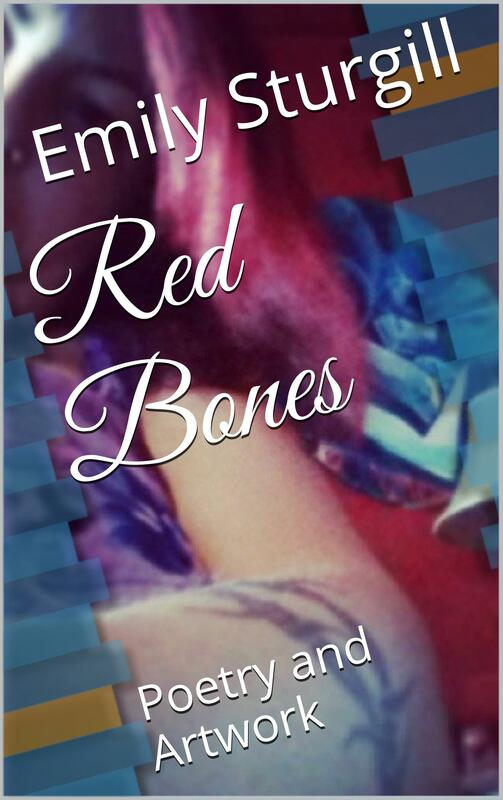 My latest poetry and artist chapbook is now available off of http://www.amazon.com. 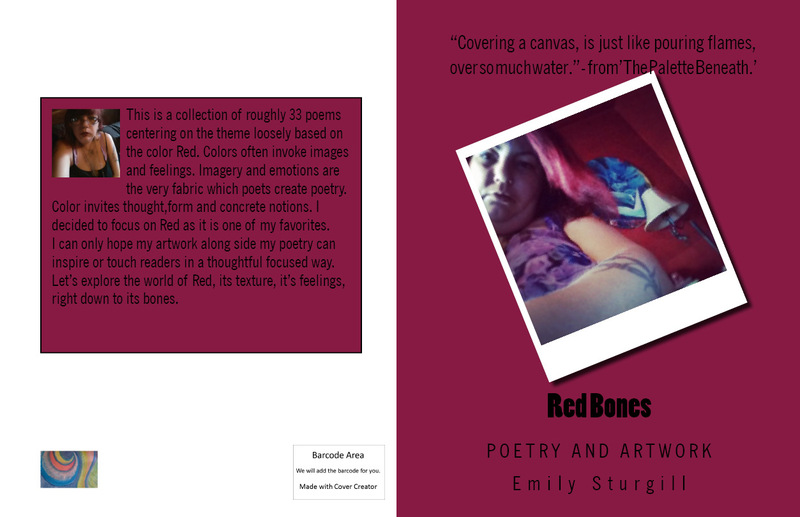 This is a collection of roughly 33 poems centering on the theme loosely based on the color Red. It also contains original artwork and is estimated at around 68 pages in length.Colors often invoke images and feelings. Imagery and emotions are the very fabric which poets create poetry. Color invites thought,form and concrete notions. I decided to focus on Red as it is one of my favorites. I can only hope my artwork along side my poetry can inspire or touch readers in a thoughtful focused way. Let’s explore the world of Red, its texture, it’s feelings, right down to its bones. This ebook does contain some mature content. Comments and Feedback or reviews are always highly encouraged and very welcomed. Thanks for reading this! Sincerely Emily Sturgill.